Fewer than 5 percent of women in Mali own land, while more than 30 percent act as heads of household and are responsible for providing food, healthcare, and school fees. In response to women’s social vulnerability, particularly in the Ségou region of Mali, IFDC’s Toward Sustainable Clusters in Agribusiness through Learning in Entrepreneurship (2SCALE) project prioritizes helping women producers and entrepreneurs have the same access to income-earning opportunities as men and ensure that they are compensated for their work. Mahamadou Nantoumé, CEO of Guina Agricole, for strengthening women’s access to quality agricultural inputs and phytosanitary services on preferential terms. Bakary Coulibaly, community leader, for promoting gender equity. Koké Coulibaly, village chief of Sekoro, for facilitating women’s access to land. Modibo Traoré, mayor of the rural commune of Sebougou, for strengthening women’s opportunities for development. The men were recognized during FINAGRI 2017, an agricultural financing fair held in Ségou. The distinction is in line with the United Nations “HeForShe” campaign, which aims to make gender equity a human affair. “The recognition given by 2SCALE to these change-makers aims to value their commitment and to encourage other men to follow their example,” said Baba Togola, 2SCALE partnership facilitator and IFDC representative at the event. The vegetable partnership supported by 2SCALE links the Dutch seed production company East-West Seed (EWIT) with a network of 17,150 farmers (8,160 women) and 27 small and medium entrepreneurs. As part of the partnership’s inclusion strategy, 2SCALE initiated demonstration and learning plots on women-owned plots. Then the project linked the women with two local companies: Guina Agricole, which provides producers with seeds and fertilizers, and Madougou SA, which buys onions produced primarily by women to resell to the Baara Muso Plant, the market leader in culinary broths in Mali. Over the last three years, women in this vegetable partnership have increased their onion yields by an average of 20 to 25 tons per hectare using the 2SCALE technology package (improved seeds and good agricultural practices) introduced through learning plots. 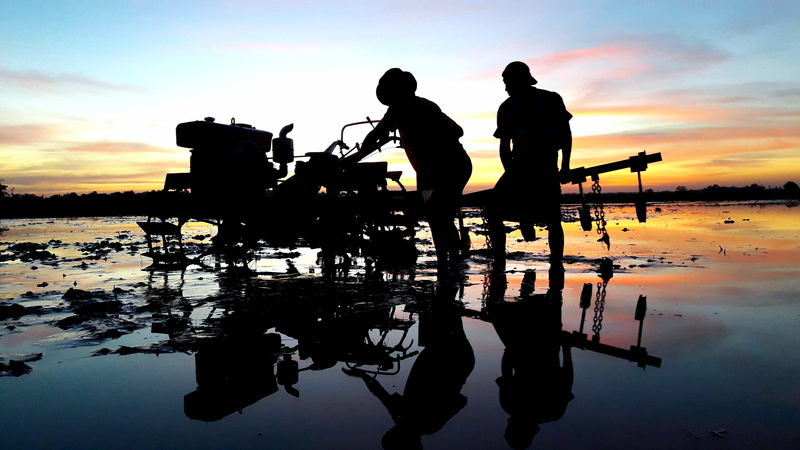 This increase in competitiveness, coupled with an increase of the onions’ shelf-life from two to six months, has greatly contributed to Guina Agricole’s confidence in its producers. In 2016, reassured by the producers’ performance and the existence of a remunerative market, the company provided its customers with an input credit of seeds and fertilizers worth more than $160,000. This amount was only $8,000 at the start of the partnership. The repayment rate of the credit is 98 percent, further boosting confidence between the company and the farmers. During the same campaign, 2SCALE linked the producers with Madougou SA, and a contract was signed to purchase 779 tons of onion at a price about 15 percent higher than the open market. Currently, Madougou’s demand for onion is 13,280 tons. This new opportunity poses new challenges: to extend the partnership to other onion production areas, duplicate technical training, and, at the same time, increase the financial capacity of Guina Agricole to extend its services to new producers. In support of this dynamic of women’s empowerment, the village council of Ségou, through the sustained intermediation of village chief Koké Coulibaly, awarded 19 hectares of fertile soil to the female producers involved in the partnership in Ségou. The Netherlands-funded 2SCALE program is an incubator for inclusive agribusiness that aims to improve rural livelihoods and food and nutrition security across nine sub-Saharan countries. 2SCALE offers a range of support services to private partners – companies and farmer groups – enabling them to produce, transform, and supply quality food products to local, national, and regional end-user markets, including base-of-the pyramid (low-income) consumers. To share its approach on gender, 2SCALE recently published “Gender Mainstreaming in Agribusiness Partnerships: Insights from 2SCALE,” the first in a series of 2SCALE thematic papers. Download a copy of the PDF here or read online at JooMag.